Strange thing about suffering, particularly long-term suffering. Eventually, you have good days. Now we can actually live day to day rather than hour to hour. Dear friends sent this bat to Harrison soon after diagnosis. Harrison has proven this to be true. 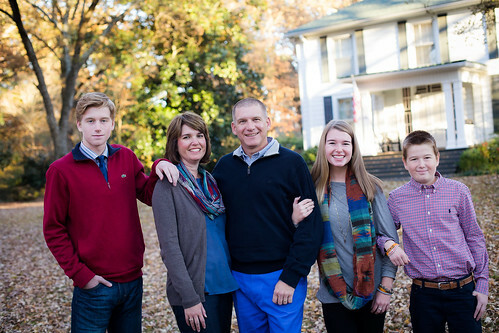 We’ve defined good days as those days when Harrison feels well-enough and strong-enough to be “normal.” When the joint pain, fatigue, and nausea–all effects of the treatment that is keeping him alive–dominate his days, everyone is affected. When Harrison suffers physically (or emotionally), everyone suffers. But when he feels well, we all feel well. Despite his struggles with medicine, Harrison is determined to be normal. He wears himself out just living his life, and is teaching so many people (me included) how to live through suffering rather than be defined by it. Yesterday he went to his sister’s softball game and ran himself ragged with the other little brothers. He then raced to his own baseball practice, which ended up being cancelled because of lightening. The lightening caused a delay in his brother’s baseball game, so Harrison was able to make it there as well. After the game he took off his hat which was soaking wet with sweat. He laughed and said, “It looks like somebody poured water on my head.” Now that’s the Harrison we know and love: go a thousand miles an hour and completely crash! As someone fighting a life-threatening illness and enduring treatment that is nearly as fatal as the cancer, he will not stop being a ten year old kid. As I sat and watched him do his best to keep up with his friends, my emotions vacillated between elation and sadness. My heart broke knowing what he is enduring. I hated that he can’t run like before. But how delighted I was the at wanted to run and play. No chemo, no Gleevec, no anti-seizure meds, no needles, no nurses, no transfusions, no spinal taps, no bone marrow aspirations. Just a boy with his friends. Normal. Thanks for sharing. I love to see that God is giving you guys beautiful moments during this time! Doc, we are praying for Harrison and your family and supporting you as we can. I just want to thank you for ministering to us through your transparency. It is healthy for us to weep with you and rejoice with you. We share in each other’s humanity as bearers of God’s image and you remind us of that through sharing your sufferings and joys with us. Seriously, thank you. As Mr. Ronnie suffered through 18 years of chronic pain as a bed patient, he quoted this many times. Our Heavenly Father knows how to give good gifts to His children. Like letting us see our children laugh. Our Lord is awesome and Harrison has proven over and over to be a great warrior with our Lord by his side. Our Lord has amazing plans for our Amazing boy and is using him every day. May God continue to bless and carry you all through. Harrison we love you and are always very proud of you. Please let us know when you have a baseball game as we would love to attend. Love this post. So thankful for the good days. I so enjoy seeing Harrison play with all the kids at the field. The little sisters also like to run and play and informed me that “Harrison is so funny and fun to play with. I am so glad he came today!” Hope tomorrow is another great day. It is going to be a hot one! You probably have heard the song, “Lead Me” by Sanctus Real. It seems you embody the message of the song. God bless. How I loved hearing that Ashley was displaced out of her seat today—-that means your Harrison, or Harrison M. as she calls him, was there today. Awesome! Lots of love and hugs to your whole family.